A group, Civil Society Alliance for Civic Rights and Rule of Law, has called on the Independent National Electoral Commission (INEC) to retrieve the Certificate of Return issued to Dr. Uche Ogah within the next 24 hours and to also apologise to the people of Abia State in not less than four national dallies. Also speaking on why Ogah should not be sworn-in as the governor, Lagos lawyer, Ebun-Olu Adegboruwa said INEC was hasty in presenting the Certificate of Return to him when the judiciary has not resolved the matter. The group, a coalition of different civil society organisations, made this call while reacting to the controversy over the Abia State governorship seat and condemned the insinuations there are two governors in the state. The group stated that Dr. Okezie Ikpeazu remains the authentic governor of the state pending the determination of the case by the appellate court. 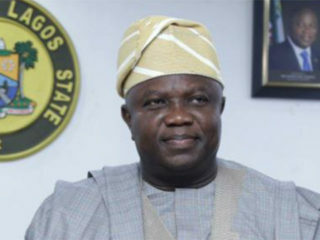 Speaking during a press conference in Lagos yesterday, spokesman of the coalition, Onuoha Oliver said it is imperative of INEC to within the next 24 hours, retrieve the Certificate of Return issued erroneously to Ogah as the order restraining the commission from doing so by the State High Court still subsists. The coalition also demanded that the Nigerian Judicial Council (NJC) should investigate the kind of judgments coming from the Court of Justice Okon Abang to ascertain their conformity with the nation’s laws and Constitution and invoke sanctions where necessary. The coalition further demand that law enforcement agents and the Economic and Financial Crime Commission (EFCC) should commence investigations into allegations of monetary inducements in the issuance of the certificate Ogah by INEC, which it claimed must have been responsible for the haste after being served the Notice of Appeal. 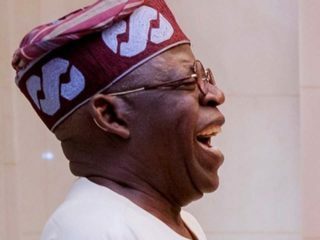 “There was no jurisdiction in a Federal High Court to remove a state governor. It has only the authority and order to disqualify the contesting candidate from contesting election based on section 31 (6) of the Electoral Act 2010,” the group stated. According to Adegboruwa, the appeal by Ikpeazu and his request for a stay oe execution is enough reason why the electoral body should have waited until all the legal avenues have been exhausted. “Chief FRA Williams S.A.N., referred the court to the cases of Huang & Or v Bello & Or supra and Rastico Nigeria Ltd v. Societe General Surveillance S.A. supra. These are Court of Appeal decisions and were in my view rightly decided. What the court below was saying in both cases was that where a person is appealing against a matter in which he has suffered a defeat and asked for a stay of execution pending the determination of the appeal, he would not be liable to contempt merely because he had not obeyed the order which he is appealing against or which he wants stayed pending the appeal. 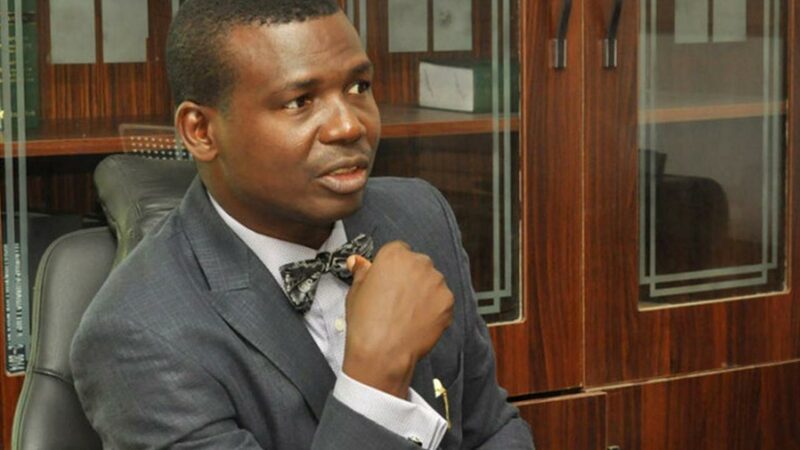 Adegboruwa stated further in the statement that “what has been stated by the Supreme Court in the above case is what all lawyers have always known to be the sacred position of the law, namely that once a party who has lost a case has filed an appeal and at the same time filed an application for a stay of execution of the judgment, that judgment cannot be enforced until his application has been decided one way or the other. “There is no controversy in this matter at all. We have evidence that INEC was duly served with both the notice of appeal and the application for a stay of execution of the judgment. In that regard, the Commission was clearly in error, to have proceeded to execute the judgment that was already on appeal, by issuing a certificate of return to Chief Ogar, thus precipitating and provoking the current tension and confusion in Abia State. Meanwhile, Abia Police Command has banned rallies, demonstrations, public processions, gatherings etc. according to a statement issued by the State Police Public Relations Officer Nta Ogbonnaya Nta (ASP). The police explained that it was a reinforcement of an earlier order and that the ban affected all interest groups irrespective of their personal, political, social, and religious affiliations. 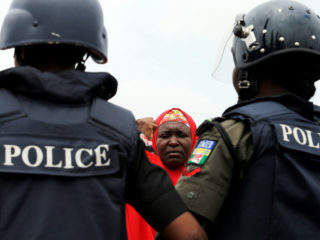 However, the police command appealed to the general public to remain calm and desist from any act was capable of breaching the peace of the state.